Obviously Bluetooth speaker is among the most desirable products of the year. We’ve seen numerous wireless speakers released throughout the year as more and more people want to enjoy music on the go. However, the problem is that most of those wireless speakers have unacceptable sound quality and couldn’t come close to our home system. 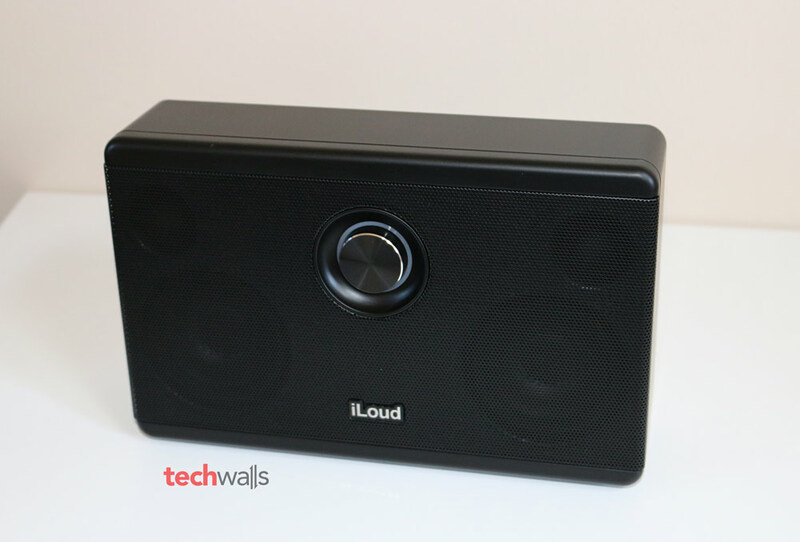 IK Multimedia iLoud is the first wireless speaker claiming to be design for musicians and audiophiles. I’ve tried the speaker in the last week to verify the statement. 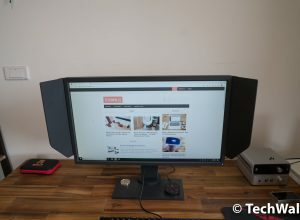 Is IK Multimedia over-confident with its products? Let’s check out my insightful review. Out of the box, there are just the speaker, an audio cable and a charger. 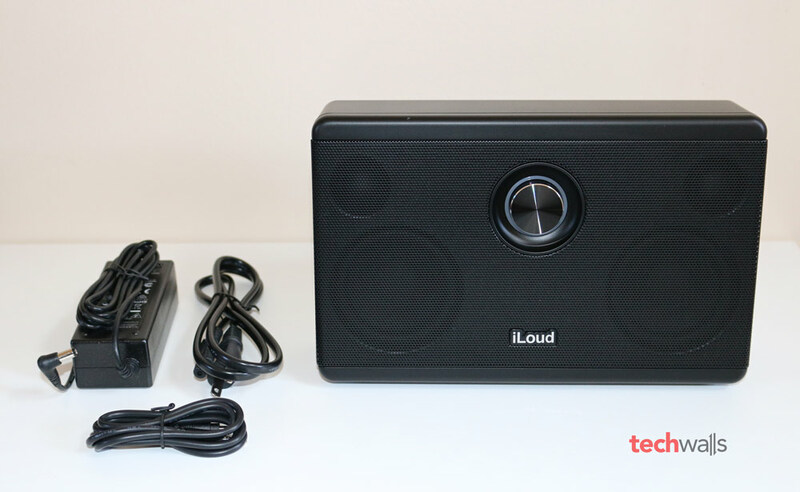 The iLoud is absolutely not the smallest wireless speaker I’ve ever used, it is even among the biggest portable one. However, as I mentioned in previous reviews, you always have to make compromises when it comes to Bluetooth speakers. Therefore, I’m glad that the iLoud has a big enclosure. Actually the speaker is still very portable because it is slim and not heavy at all (weighs less than 3 lbs). I can hold it quite sturdily with just one hand and thanks to the small footprint, it doesn’t take much space when I place it on my desk. Exterior of the speaker is mostly made of plastic, only the grille and the volume knob at center of the front are metallic. The sides of the unit are totally clean matte surfaces, all other controls and inputs are placed on the back. Apart from some ordinary buttons and ports like 3.5mm audio input, DC in, charging LED indicator, Bluetooth pairing button and power switch, there are also a GAIN control and iRig instrument/microphone input. We can also spot a bass port on the the top right corner which is helpful to enhance bass frequencies. The speaker is slightly leaning backward to point drivers to our ears. To keep the speaker stand more stable, you can use a fold-out stand hidden on the bottom. As the iLoud uses an exclusive charger and there is no micro-USB port, you will always need to bring the included charger because you can’t use USB chargers of your phone or tablet. Charging the speaker takes around 2 hours and at a moderate volume level, I can use it for about 5-6 hours. The manufacturer suggested that the battery life can last for up to 10 hours. This is not the best battery life but it is acceptable for a big-sized speaker. The iLoud has a unique iRig circuit that allows users to connect instruments like dynamic microphones, guitars or basses to the speaker. 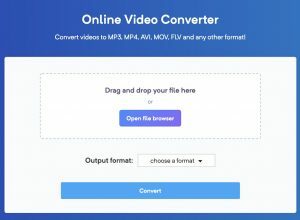 However, it requires an iOS device running audio-processing apps like IK Multimedia’s AmpliTube or VocaLive, then you will have to connect your instrument to the iLoud’s instrument input port and your iPhone/iPad to the 1/8″ input socket. The audio signal will not be sent directly from the instrument to the iLoud. Instead, the signal will come from your instrument to your iOS device to process before going to the speaker. Although this is a Bluetooth speaker, it is not recommended to use the wireless connection to monitor your music creations because of the inherent latency of Bluetooth technology. Therefore, you should only pair via Bluetooth for listening to music. The Bluetooth range is good but there are some other issues I will discuss later in the next section. Unfortunately, my experience with the Bluetooth connection is quite bad. 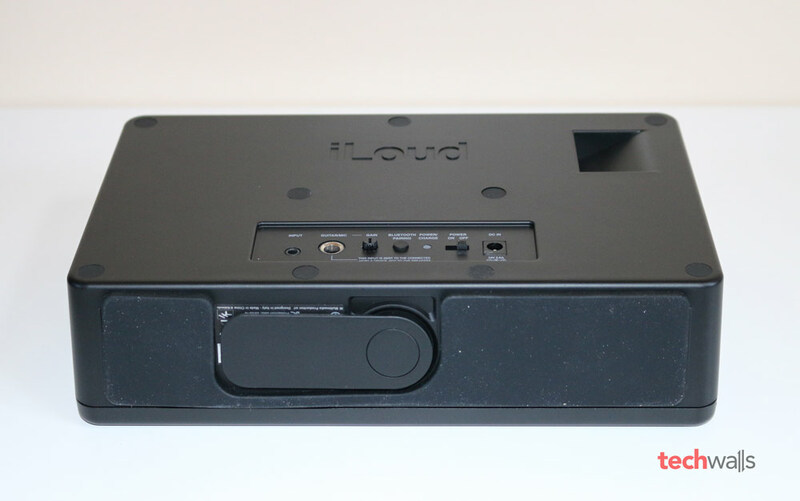 The iLoud is said to feature the Bluetooth A2DP protocol for high-quality stereo music streaming but it performs very inconsistently. The first issue is that there is a low humming and buzzing noise all the time when the speaker is paired. The noise is not obvious when I play music but I really hate that it is existing behind the melody. More seriously, sometimes I experienced crackling sounds when playing any genre of music. At first, I thought it was a distortion but then I realized that it happened continuously. To fix the issue, I had to disconnect the speaker with my device and then pair it again. I couldn’t replicate the issue since then. Otherwise, when the iLoud speaker works properly, it is the best portable speaker I’ve ever used. It even sounds better than the Braven 855s that I reviewed not long ago. 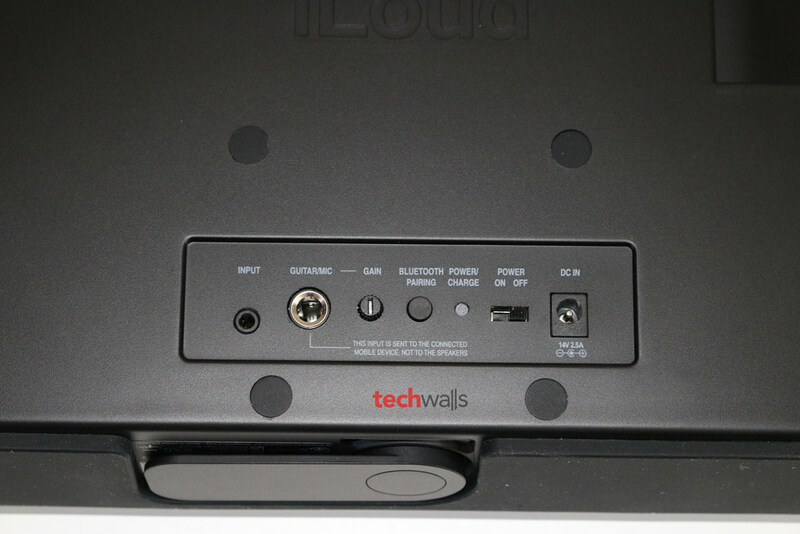 The iLoud features two 3″ neodymium woofers and two 3/4″ neodymium tweeters with a total power of 40W. Thanks to the rear-facing bass port, the iLoud can deliver a very solid and deep bass that you can’t hear on similar speakers. This is the first time I can feel punchy beats on a portable speaker. The midrange is also very impressive, it is extremely clear and I can easily hear the separation of instruments. You will be able enjoy very detailed vocals and sound , particularly at the midrange. The sounds produced from this speaker is also remarkably loud like its name suggested. Moreover, when I crank up the volume to nearly maximum (which is only suitable for outdoor use or your room could be blow out), there is almost no distortion. 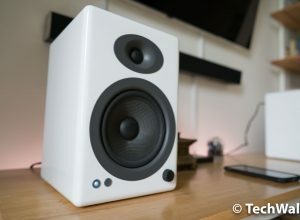 The soundstage on the iLoud is amazing, I can’t believe a speaker at this size could produce such a spacious sound. 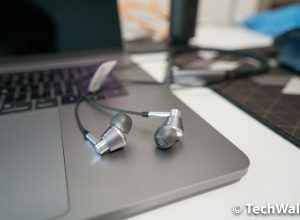 The 4 drivers helps improve my listening experience and make me feel much more immersive in music. A big speaker with portable and lightweight design. Comes with some unique features for musicians, allows hooking up to instruments. Deep bass makes the sound significantly warmer. Very clear mids and highs. Volume level could be extremely loud. Inconsistent sound quality via Bluetooth connection. Audio quality is better when using audio cable. The iLoud is going on sale on Amazon for around $200. Despite some aforementioned issues, I’m using the speaker on my desk because its audio quality is unbeatable, especially at this price range. I totally recommend this product.